SGX Day Traders: 2014 Jun 25-- #sgxdaytraders spotted Yanlord a Potential Bullish reversal Buy. 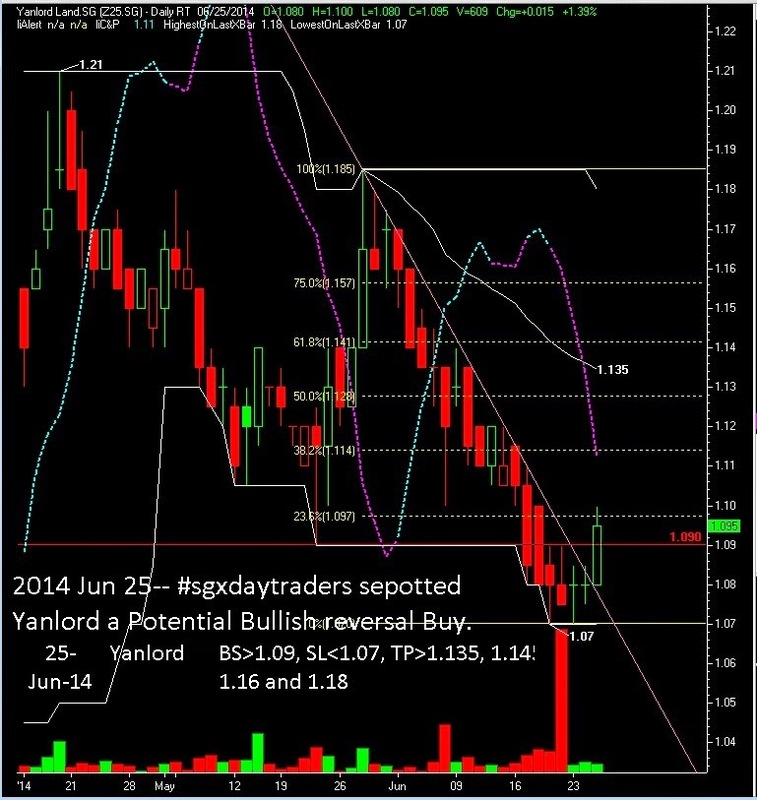 2014 Jun 25-- #sgxdaytraders spotted Yanlord a Potential Bullish reversal Buy. Thanks for the very informative article. I was thinking whether it would be fruitful for people to trade in SGx and after reading your article I believe that trading sgx stocks with SGX Singapore tips can be more profitable. I think I will try your indicators with demo account and if it satisfies me than i will go live. I am getting stock as well as forex tips from one of the company but like yours as this are accurate. Little bit tensed as the chart is going downwards and this is the reason why I take services from epicresearch.co as they make me more confident to trade with live and accurate signals.